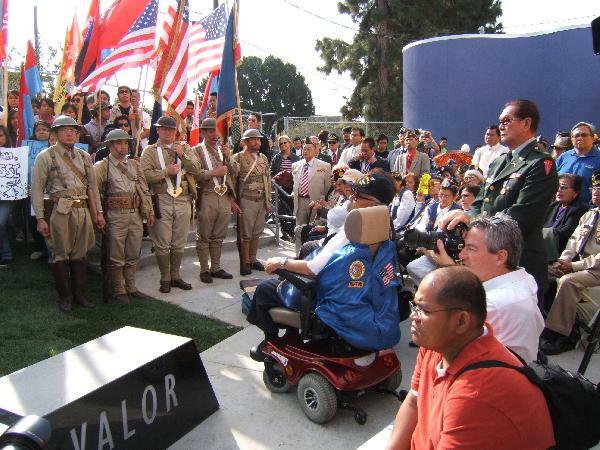 Los Angeles—Scores of veterans and widows, advocates and guests marked the 65th year victory at the Battle of Bessang Pass, June 14, 1945 with a simple program, Monday, June 14, 2010. The rites was held at the Church of the Nazarene Hall Social Hall at 3401 W.3rd St Los Angeles, CA 90020 at around 9:00 AM. 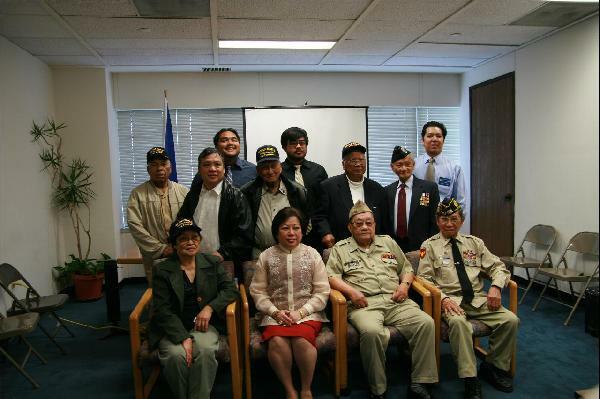 After the opening invocation given by Pastor Sonny River, the guests of honor , the Philippine Consul General Los Angeles, Mary Jo B. Aragon spoke about the significance of the Battle of Bessang Pass. Media man Romy Borje, in an emotional tone, son of the Hero of Battle of Bessang Pass, Major Eduardo Borje spoke about his father’s role in the great battle. Then Major Borje, a battalion commander led the charge at Bucual ridge at the Battle. Romy Borje showed the group pictures of Maj. Borje and his group after capturing Bessang Pass. Mel Ilomin, field representative of Senator Gil Cedillo of the 22nd District of California awarded certificates to AWARE and JFAV. He called on the community to kept on remembering and working for community empowerment. The victory at Bessang Pass in 1945, avenged the defeat at Bataan when it surrendered on April 9, 1942 when the Filipino and American forces where forced on a Death March to Capas, Tarlac. More than 30,000 Filipino and American died during this 65 kilometers force march. The victory at the Battle of Bessang forced Japanese General Tomuyaki Yamashita, the “Tiger of Malaya” to surrender to the USFIP-NL later in Kiangan, Ifugao on September 6, 1945. Bessang Pass is the last line of defense of the Japanese Imperial Army in Northern Luzon during World War II. It was a military holiday in the Philippines by President Elpidio Quirino in 1952. But even the AFP do not celebrate it today. Only the surviving veterans and their advocates here in the U.S. commemorates the event since its 60th anniversary in 2005 in Los Angeles.